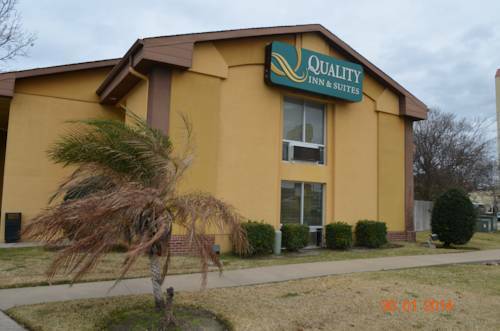 Get more for your money at Quality Inn and Suites NRG Park - Medical Center in Houston, TX. Located adjacent to Houstons famous sports facilities and minutes from Rice University, our hotel is easily accessible to all this area has to offer. Our inviting guestrooms feature balconies, TVs, hair dryers, coffee makers, microwaves, refrigerators, irons and ironing boards. You can take care of business, too, with free WiFi and access to copy and fax services, as well as meeting space that accommodates up to 74 guests. Additional amenities include free breakfast, a fitness center and laundry facilities. Also, earn rewards including free nights and gift cards with our Choice Privileges Rewards program. Pet accommodation: 20.00 per night. Pet limit: 2 pets per room maximum 60 pounds.